The 2014 World Percheron Congress is a celebration of the Percheron Horse! To be held October 6-11, 2014 at the Eastern States Exposition Fairgrounds in West Springfield, MA. The 2014 World Percheron Congress promises to be the best ever! Exhibitors from across the U.S. and Canada will meet in West Springfield to showcase their beautiful Percherons. International delegates from France, Great Britain, South America, Australia, Germany and Japan will gather to honor this great breed. 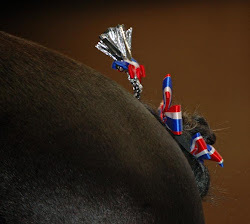 The 2010 World Percheron Congress is almost here!!! As we speak, many exhibitors are making preparations to head to Des Moines or are already en route. The excitement is mounting and last minute details are being handled by the show committee. We look forward to seeing everyone at the Congress!! Two exhibitor meetings will be held on Tuesday, October 26 in the Penningroth Sale Center located just off the trade show area on the west side of the Main barn to review schedules, splits, answer questions, etc. A meeting for those volunteering horses for People Hauling and dragging the show rings will also be held at 3:00 p.m. on Tuesday outside of the horse show office in the Main barn. Texas Thunder: The Priefert Percherons! Exhibitors are Headed to Des Moines! Eight-Horse Hitch $5,000 Windermere Farms & Jackson Fork Ranch & Reigsecker Carriage Co.
© 2014 World Percheron Congress. Awesome Inc. theme. Powered by Blogger.